Pray for all the resources and creativity needed to fulfill the intentions of God in the state of Oklahoma. 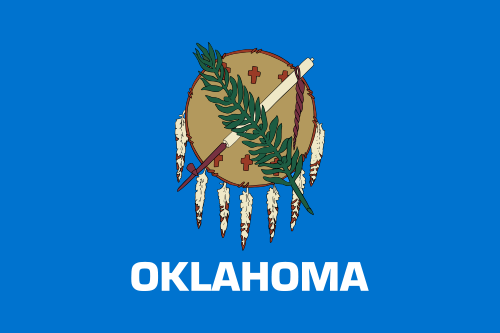 State Information: The name Oklahoma comes from two Choctaw Indian words, okla, which means “people,” and humma, which means “red.” In 1889, Congress opened up 2 million acres for white settlement (it was previously open only to Native Americans who were forced to leave their homelands), and the first of a number of land runs began. Some of the state’s settlers were called “Sooners” because they had already staked their land claims before the land was officially opened for settlement. Oklahoma was admitted as the 46th state in 1907. Oklahoma’s capital is an easy one to remember–Oklahoma City. The state flower is the mistletoe, a favorite for kissing under during the winter holidays.